ROSTA belt tensioner is offered with various sizes. SE 11 to SE 50 with roller type accessory. Can be used to tension the Timing belt or VEE belt on the smooth side. AVAILABLE EX STOCK IN INDIAN RUPEES. 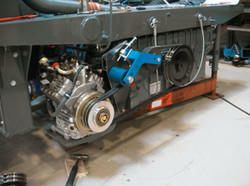 We are an accomplished organization which is invilved in offering Timing Belt Tensioner. It used in this WAGON R CAR. In order to keep pace with the never-ending demands of customers, we are involved in offering a wide range of TATA Timing Belt Tensioner. Our expertise provide premium quality Belt Tensioneer in various specification according to our clients. 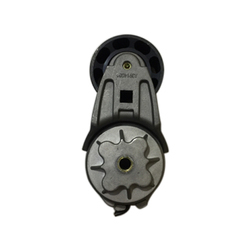 These tensioners are used in Engine of Heavy Commercial Vehicles. We provide most competitive prices. We take pleasure in introducing ourselves as leading firm by offering Timing Belt Tensioner. Pressure Die Cast Aluminium Base and Arm for extra strength and accurate alignment with an in-built Belt Length Indicator.